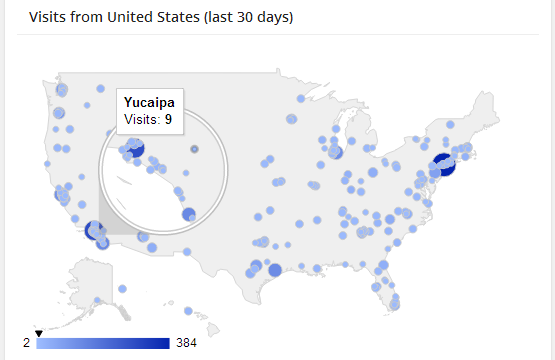 With Google Analytics Dashboard for WP you can use a map chart to display how many visitors you have from a specific country and from which cities they are coming. The list bellow contains all country codes needed to properly setup the above feature in Google Analytics Dashboard for WP. Using the proper country code you will be able to display visitors by city on a regional map (specified country on a map). This feature was mainly created for local websites and businesses, for which displaying visitors by country on a world map is useless. On your WordPress administration area, go to Google Analytics -> Backend Settings -> Location Settings. Look for Target Geo Map to region and enter your corresponding country code from the list bellow. Because the process of retrieving longitude and latitude for each city is quite slow, it can take some time until all cities are rendered. You should also know that Google Analytics API limits this query to a maximum of 10.000 results. The above video shows how to setup this feature and the impact on rendering speed while displaying a huge number of cities.